Who said, "Caribbean cruise savings?" Can you really save on your Caribbean cruise? Yes, you can! Come let us explore several ways to maximize your cruise savings. The time that you book your cruise can add up to to a nice amount in your Caribbean cruise saving drive. Generally, if you book your cruise ship vacation five (5) months or more in advance, you will get the "Early-Saver" rate (Carnival's term for the lowest rate). 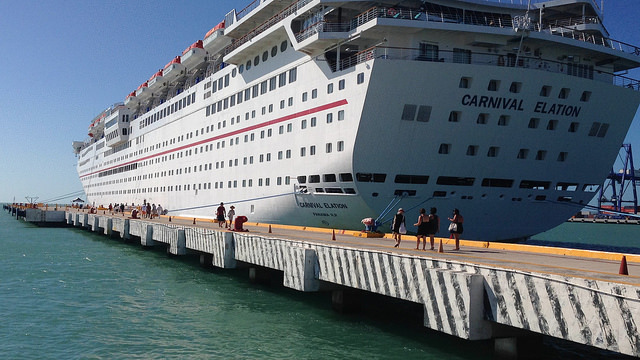 Here is a case in point: We recently booked a 5-day Carnival Cruise Lines cruise out of Miami to Ocho Rios, Jamaica and Georgetown, Grand Cayman, Cayman Islands. When we booked our cruise last September, the cruise ticket started at $549/ person. By March the price rose to $629/ person. Now calculate: $629 - $549 is a nice $80/ person in Caribbean cruise savings. Wow! Can you see that? So, if you book early, you will save. However, if you book at the last minute, you may also increase your Caribbean cruise savings. Cruise lines do not want to sail with empty cabins (it's not good for the bottom line) and will drop their prices a few weeks (6 - 4 weeks) before the sail date if they have several empty cabins to fill. Now, if you have a flexible, time-off-from-work schedule and you love to take chances (waiting for the last minute could mean no available cabin), you should wait. 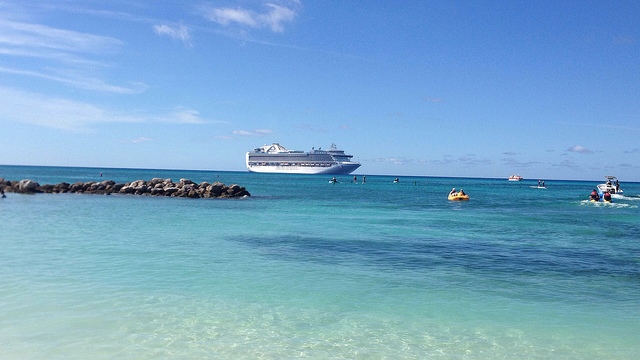 Your last minute cruise booking may result in really great savings on your Caribbean cruise. Generally, my family cruises when the kids are out of school - which I imagine your family does or will do too. 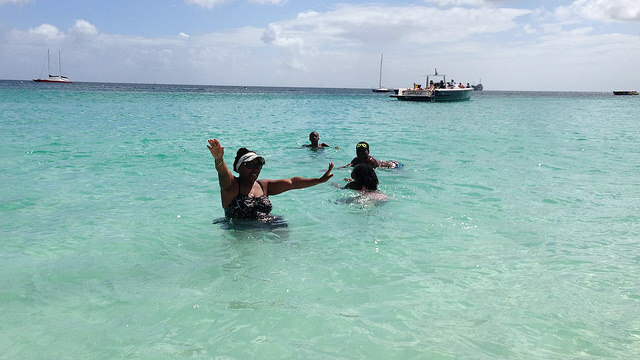 As I noted before, cruises are so family-friendly that our children have accompanied us on all our Caribbean cruises. As you know, the kids are out of school during the holidays - Winter Break, Spring Break, summer, Thanksgiving, and Christmas. Believe me when I tell that you that the cruise lines are aware of this. Consequently, you find that Caribbean cruises are most expensive during and around holidays. However, you will find the best cruise prices at the end of summer (end of August through the end of October - The Hurricane Season). If for some strange reason your children are out of school during that time of year, you will smile at your Caribbean cruise savings. In 2009, we sailed with Norwegian Dawn on a 7 day Eastern Caribbean cruise and paid $3,500. The cruise month was April - the height of Spring Break. Last year, a friend of mine took his family on a similar 7-day Eastern Caribbean sailing and his cruise savings totaled $800. When did they go? September - the height of the Hurricane Season. If you can muster up the courage to book a Caribbean cruise for some time during the Atlantic Hurricane Season, your Caribbean cruise savings will be great. You can always buy travel insurance to secure your hard-earned cash. If your cruise does not sail, you will not lose your money. It matters where you sleep. Right? I know someone said a big, "Yes!" Well, your choice of accommodations will cost onboard the cruise ship. If you really want to "live it up" on the Caribbean Sea, you should book a suite for your family. Please note, however, that the suite is the most expensive type of cruise ship accommodation. You can scale back and have a spacious balcony cabin (ocean view), or scale back further to just a regular oceanview cabin. In some cases you will find adjoining oceanview cabins which are great for your family. We had one of those on our 7-day Carnival cruise to the Western Caribbean. If, however, you want to add to your cruise savings, you should choose an inside cabin. The inside cabin offers no window or porthole. So, unless you have a time-piece or a sense of time, you will not know when it is night or day. The best thing about the inside cabin is that it adds to your cruise savings! If your family is taking a 7 day Caribbean cruise, you may choose to get something with a view of outside. However, for me, saving on my Caribbean cruise ticket is key. My opinion is that, since I will only sleep in the cabin for a few hours per day, why spend extra money? I see outside most of time when I am on an open deck or we are on land somewhere. Of course, the choice is yours. But, choosing 1 or 2 inside cabins for your family will add to your Caribbean cruise savings. Please note too that the prices of inside cabins - and all cabins - vary depending on which deck each is. Cabins on higher decks tend to cost more. Choose wisely. Yes, you can find cruise savings on cruise excursions. If you do not already know, please note that for each port of call your cruise ship will have a list of interesting things you can do ashore. Whether it be scuba-diving, swimming with dolphins, parasailing, visiting a coral reef, taking a tour, etc., there will be several offers and varying prices. Generally, we find the ship's offers to be quite exciting, but in many cases too expensive. When there are five people in your family, you are forced to watch how you spend the money. Consequently, we are yet to take a cruise-ship offered excursion. What we have done is to go ashore at each port of call and, if we so desire, we will find what appears to be an established tour company to give us a tour of the country/island. A good practice has always been to go with a group of guests from your cruise ship or from other ships in the port. By doing the above, we have seen beautiful features on Grand Cayman, remarked at the ruins of Cozumel, Mexico; swam the beaches of Costa Maya and Paradise Island; and basked in the awesome presence of the water-falls of Samana, Dominican Republic. 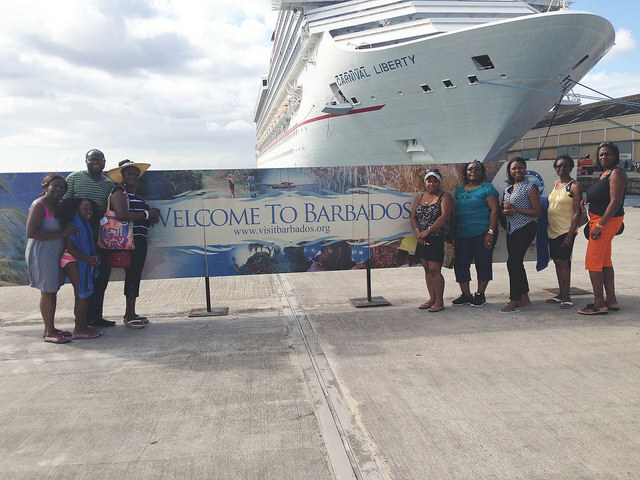 We have also maximized our Caribbean cruise savings by choosing our own forms of shore excursions. You will notice that I did not mention swimming with dolphins or scuba diving. The fact is, there are some excursions that are best booked through the cruise ship. By doing so, you add security and a greater amount of accountability for your family. However, if you just want to tour one of those beautiful Caribbean islands, swim the clear blue Caribbean Sea, or interact with the natives, wait until your cruise ship docks in the respective port of call and organize your own tour. You will love it and that will add to your Caribbean cruise savings. Gosh! Those cruise ship photos are beautiful! On each cruise ship, in several strategic spots and at every port of call, you will find ship photographers wanting to take your picture. Later that day or the next, you may visit the ship's photo shop to view your pictures. Hold on tightly! If you are not strong, you will yield to the temptation to take all the pictures. But there is a catch - you must pay for them. On all the Caribbean cruises that we have taken, the cruise photographers have done an excellent job with those pictures. And, that has made it hard for my wife to resist them. You can imagine the consequences. After our first Caribbean cruise on which my wife spent over $200 on cruise photos, we have had to plan a photo budget for every cruise since then. Planning a photo budget is one way to add to your Caribbean cruise savings. But, to complement that, walk with your own digital camera. Yes, now we never take a cruise without a nice camera. If we don't, my wife will not be able to resist the temptation of gobbling up those cruise photos and that will put a dent in our mission to maximize our Caribbean cruise savings. Now, who thought that I would include soda in this list of cruise savings? Well, it so happens that if you miss this, you may end up spending too much on soda onboard your family Caribbean cruise. Your all inclusive Caribbean cruise package includes food (more than you can eat), juices, milk and water. The cruise package does not include soda or alcohol. Therefore, if you or members of your family will need soda onboard the cruise ship, you must pay for it. Soda can be expensive onboard the ship, but luckily for you, most cruise lines offer an attractive deal. You may purchase a souvenir cup - generally for close to $10 - and for each time you need to refill the cup (it's a big one), you pay about $1.99. This works out to be a lot cheaper than buying a cup of soda each time. Please remember this or your family will spend too much on soda and of course will mess up your drive to maximize your cruise savings. 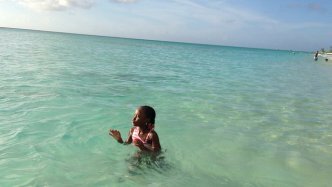 I will be adding more Caribbean cruise saving tips as I discover them to prepare you for an unforgettable family friendly cruise. Finally, learn how to become an Intelligent Cruiser and save on your cruise vacation. Have you found other ways to save on your Caribbean cruise? Please SHARE your Saving Tips Below. Thank you!